Since I've got some new space, I'm looking to build a display for my snare drum collection. I want the end goal to be both visually appealing yet easy to grab a snare drum in the event I want to swap them around. I've got about 11 snare drums so far with plans to add a few more over the next few months. Would love to see what you've got so I can get some inspiration. Dana Bentley has offered these for years. Still has one left. 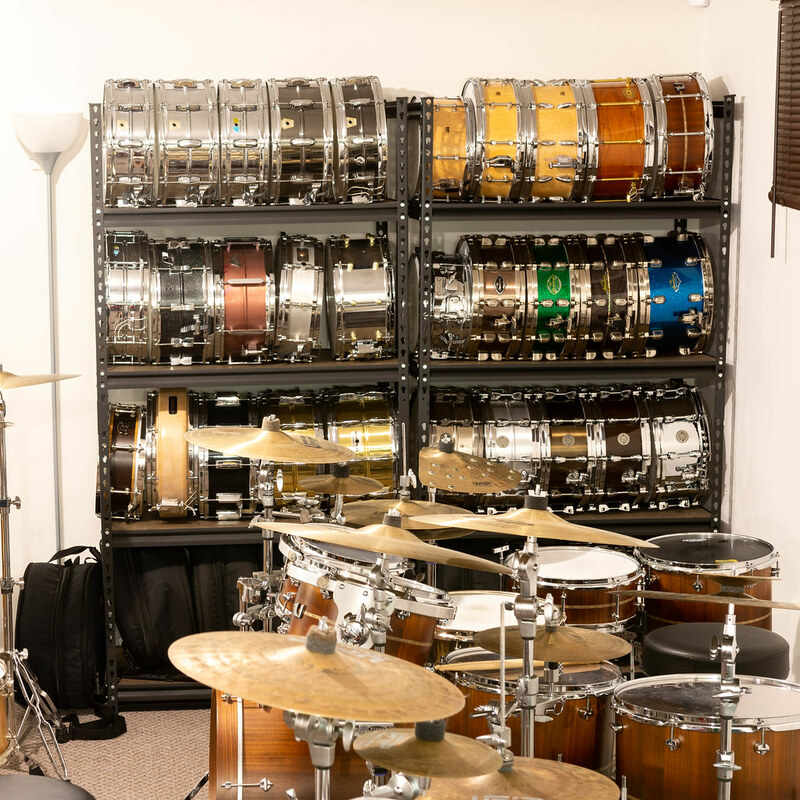 Most of the more popular racks from Guitar Center/Musician's Friend only hold 7-8 snares. This one holds 16-20 snares... and is 4-tier. If I wanted to display snare drums, I'd probably get this. Nice! That would mean I'd have to add a lot more snare drums lol. Here’s a picture of one of my racks that I bought from MF. It’s the kind that D4L spoke about. I purchased a second one as my collection has grown to 12. Right now I have a kit set up in front of the second rack so I can’t get a good picture, but you get the idea. I was hoping that they would be stackable, but they are not. MF runs them periodically for $50 with free shipping. I’m thinking about putting castors on the legs. Last edited by quicksticks; 04-14-2019 at 11:24 AM. Those look pretty sturdy. Might have to keep an eye out for the $50 deal lol.